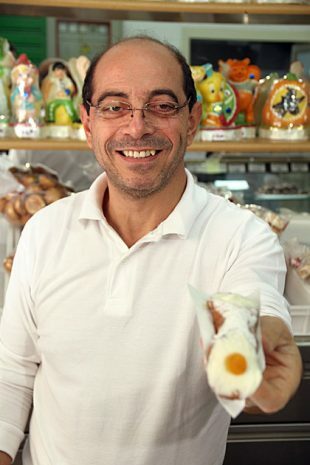 The Albergheria is the oldest neighborhood in Palermo. This is where the Phoenicians founded the city, and it hosts the royal palace which all the city’s rulers have called home. 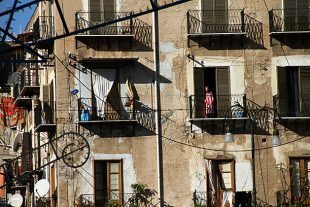 Despite this rich history, today’s Albergheria is one of the most run-down sections of Palermo. Nowhere else is the juxtaposition of dilapidated housing and exquisite historic buildings quite so jarring. 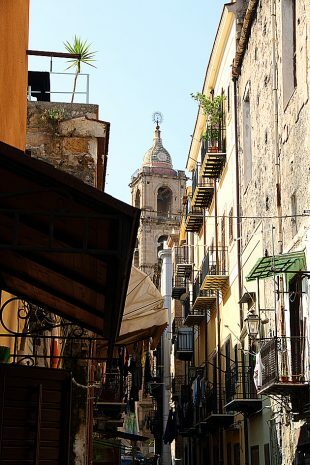 We’ve been in Palermo for almost two months now, and although we’ve gotten familiar with the main streets, the winding alleys still offer endless opportunities to get lost. And we often do, sometimes even on purpose. There’s nothing like the bewildered frustration of being absolutely without orientation to inspire an attack of random photography. From the regal statues of the Quattro Canti to the delicate stucco work inside the Oratorio di San Lorenzo, it’s apparent that sculpture has always played an important role in Palermo’s art scene. 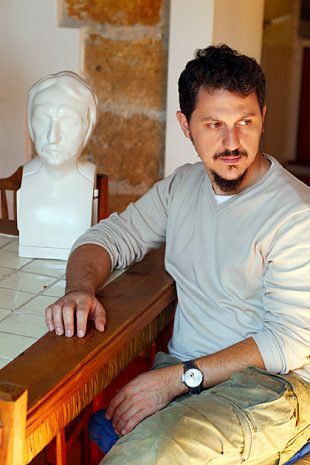 We had the chance to meet one of the city’s modern sculpture artists, Daniele Franzella, who showed us into his apartment and workshop.